Adventure travel doesn’t have to be the domain of only the most adventurous—and this tour is a great introduction to an adventure destination that may spark a lifetime of discovery! Contiki’s “Costa Rica Unplugged” is a two-week exploration that exclusively targets 18 to 13 year olds looking to break out of their comfort zone, but within defined parameters. You both begin and end this tour by exploring the bustling capital of San Jose, then venture to Tortuguero on the Caribbean Coast. Differing from much of the rest of the country, Tortuguero has a strong Afro-Caribbean influence. You stay in a jungle lodge and fall asleep serenaded by howler monkeys, and explore the national park by boat in search of caiman, monkeys, iguanas and sloths, and maybe venture on foot to relax on a beach or search for nesting turtles, if the season is right. Then you head inland to Sarapiqui and the Tirimbina Reserve, where you can enjoy a chocolate tour—and, says Contiki, eat as much as you like!—hike the rainforest, partake in whitewater rafting or ziplining, or just kick back at the pool. Later you visit the active volcano Arenal, with its lush forest and thermal activity, and do some rappelling through a rainforest canyon and waterfall. And later still meet some local students and farmers, and sample some outstanding coffee. You can hit the Pacific surf at Playa Tamarindo, and take in both the legendary local tides and local vibes. Or try snorkelling or scuba diving, and maybe partake of a catamaran cruise. 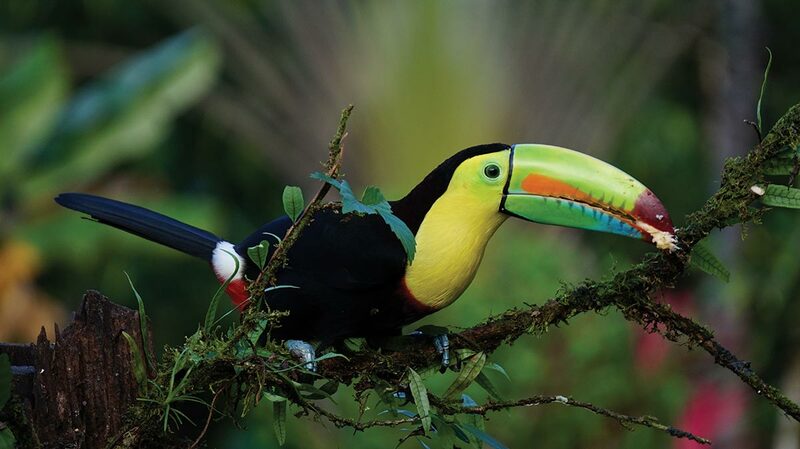 Hike the cloud forest of Monteverde and see fantastic wildlife, and enjoy views of both the Caribbean and Pacific coasts. For budding thrillseekers, there’s a one-kilometre-long zipline through the jungle; for emerging culturalists, the option of learning how coffee is harvested. You head down the coast for lunch in Jaco, before arriving in Manuel Antonio National Park, where you spend three days exploring any adventure on offer—from rainforest trekking and wildlife viewing to beachside strolling and coral-reef snorkelling. Overall, this tour is just a great way to dive or dip your toes into the adventure pool! Length/Departs: 14 days / Jan.-Mar., May-Dec.